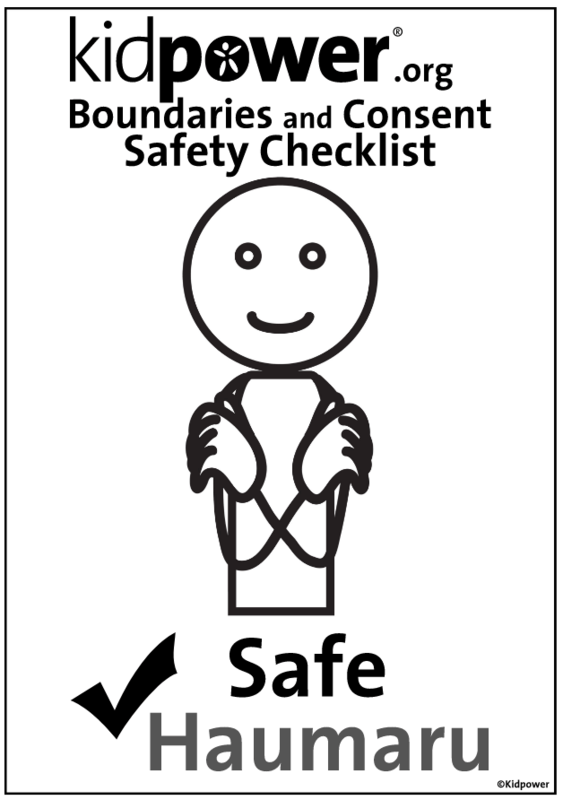 Members have access to 100s of “People Safety” resources and tools! 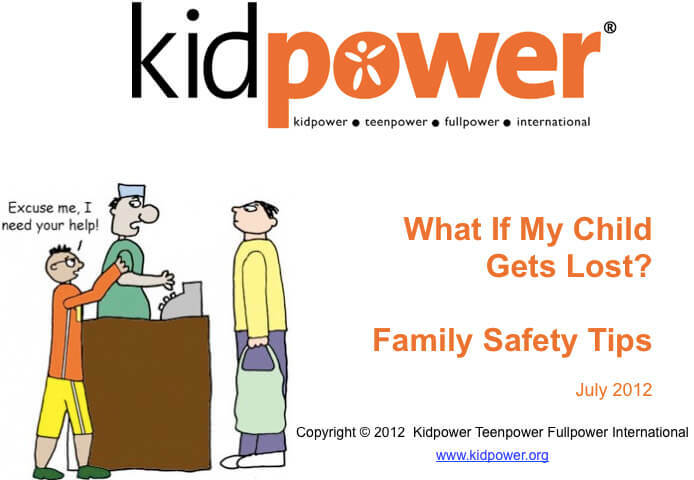 Hello — Welcome to your Kidpower Resource Library Member Page! 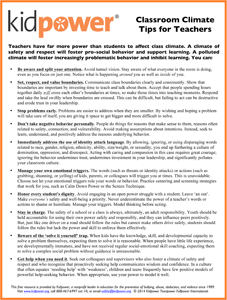 If you’ve signed in to access a specific article or other resource, please go back to that tab and refresh the page. 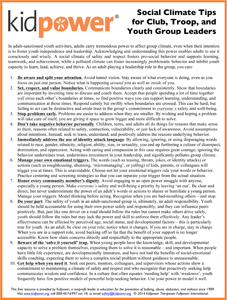 Here is a compact list of resources you can download as part of your membership. 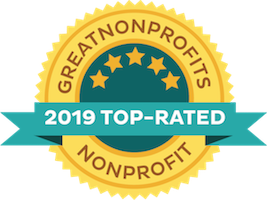 Individual article downloads are available in the more than 200 article pages – go to our Article Index to browse our extensive library – or use the search field to find articles, blog posts and more about a specific topic on our site. 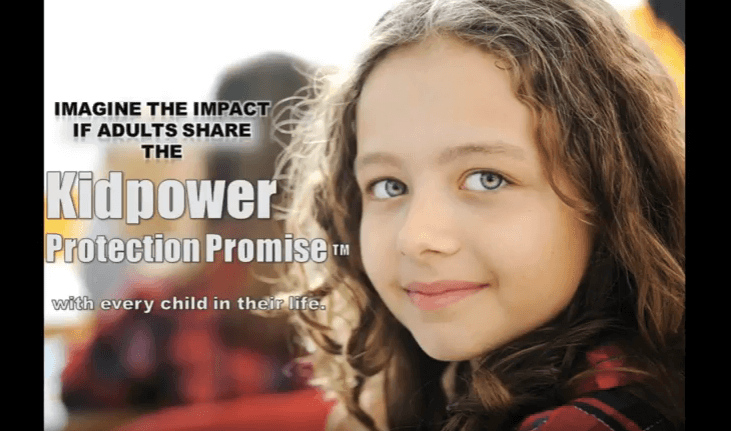 Scroll or use these links to find all of our Kidpower Coloring Books, Posters, and Handouts for quick downloading – in as many as 11 languages! 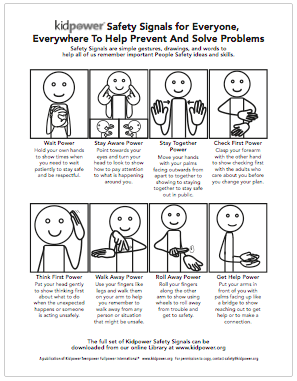 Kidpower Safety Signals define core personal safety skills and concepts through simple gestures, graphics, and explanations, making them easy to learn, remember, and use, especially for people with limited speech and young children. 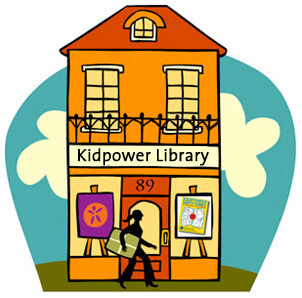 Kidpower Coloring Books – in 11 Languages! 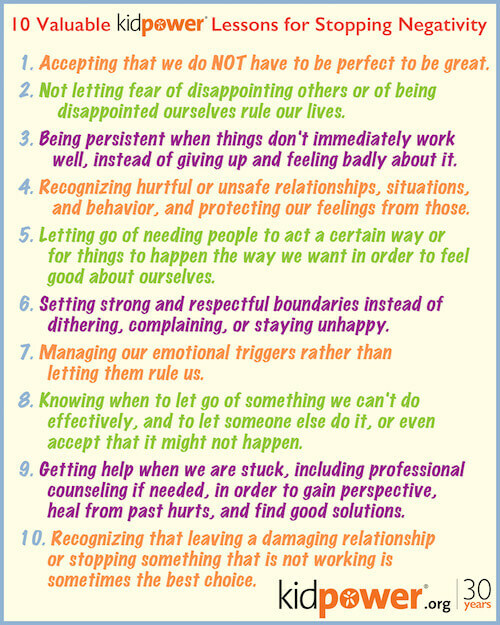 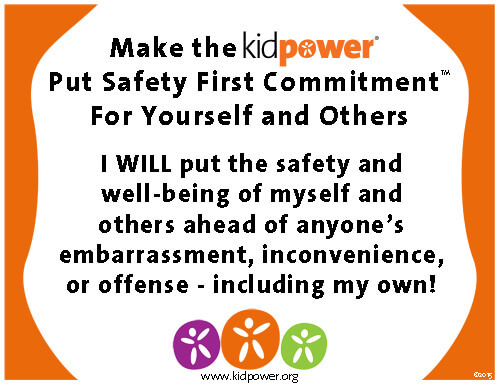 This Kidpower Put Safety First Commitment For Yourself and Others Poster is a compelling signal to show your commitment to your own physical and emotional safety and well being. 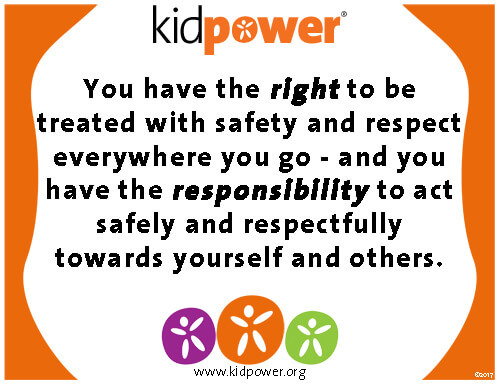 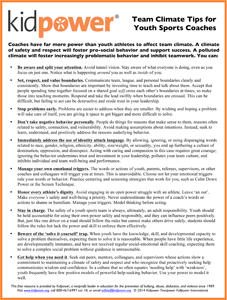 Use our Kidpower’s Safety Tips Handout to start teaching children how to be safe from abuse, bullying, harassment, assault, and other violence (English). 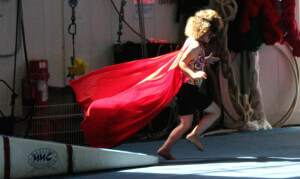 Use this tab to edit your profile settings, change your password, upgrade or renew your membership!